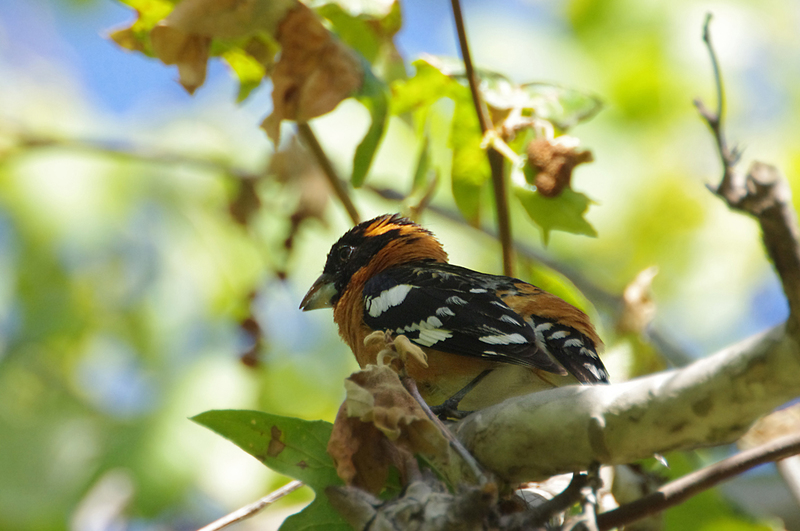 A common and familiar bird of the American West, the Black-headed Grosbeak can be found in mountain forests, along desert streams, or in backyards and gardens. The male and female differ greatly in their plumage, with the male being a flashy black, white, and cinnamon, and the female a drab buff and brown. The nest of the Black-headed Grosbeak is widely reported to be so thinly constructed that eggs can be seen through bottom. 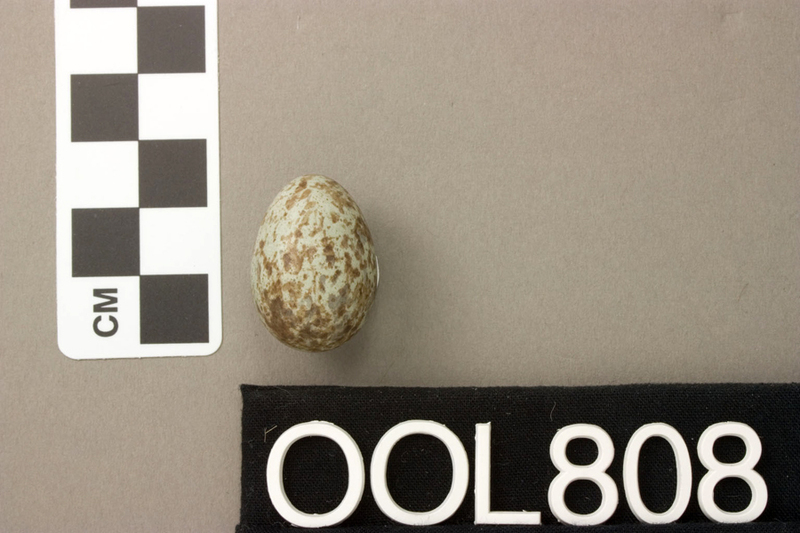 However, nests are less thin in northern California. Thin nests may provide ventilation and help keep them cool. 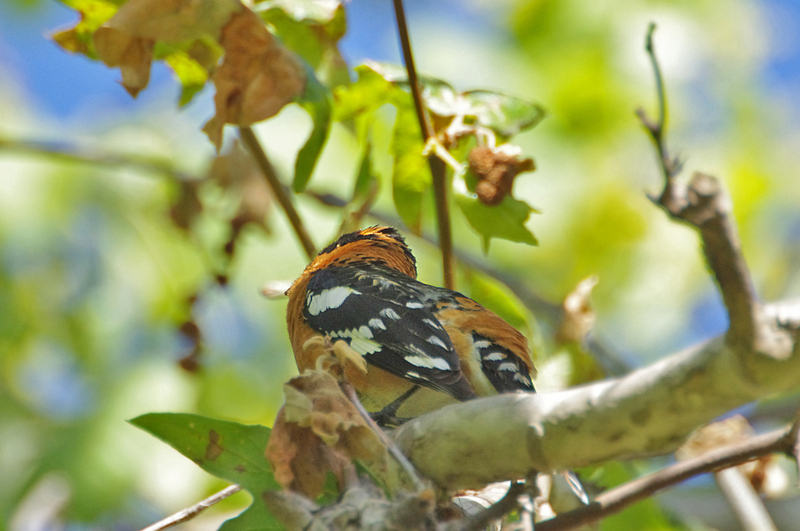 The female Black-headed Grosbeak commonly sings. The female song is generally a simplified version of the male song. Occasionally, the female sings full "male" song, apparently to deceive its mate about the presence of intruders and force him to spend more time at the nest. Large, thick, bicolored, cone-shaped bill. White flash in wings in flight. Male distinctive with black face, orangish chest, belly, nape, and rump. Head black (sometimes broken by partial or complete eyestripe of bright cinnamon); wings and tail black with sharply contrasting white spots; breast, rump, nape, and flanks brilliant cinnamon; and a patch of lemon-yellow on belly. Similar, but dark feathers tipped with buff, hiding much of plumage pattern. Head brown with buffy to white (occasionally lemon-yellow) crown and eyestripe, a pale chin, brown wings and tail with indistinct buffy spots, and heavily streaked body plumage that is dull cinnamon to buff with variable amounts of yellow. Similar to adult female. First-year males variable, from very female-like to closely resembling adult male. Breeds in a variety of deciduous and mixed forest habitats. Gleans insects from foliage and branches. Will use bird feeders. Purple Finch female resembles female Black-headed Grosbeak, but is smaller, smaller headed, has a distinct moustache stripe, a dark bill, and lacks white in wings. Rose-breasted Grosbeak male is distinctive with red chest, white belly, and black hood, but the female is very similar to female Black-headed Grosbeak. Rose-breasted Grosbeak has darker, thicker, and more extensive streaking on the underparts, especially in center of breast, is more white on head and nape, has buffy yellow rather than lemon-yellow wing linings, and an all pale bill. Song a series of rapidly ascending and descending notes separated by brief pauses. Call note a sharp "chink." Hill, G. E. 1995. 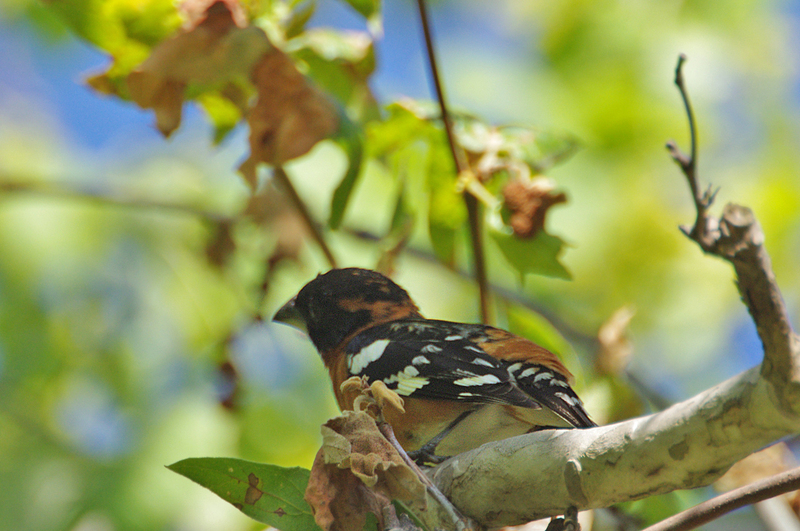 Black-headed Grosbeak (Pheucticus melanocephalus). In The Birds of North Americaa, No. 143 (A. Poole and F. Gill, eds.). The Academy of Natural Sciences, Philadelphia, and The American Ornithologists' Union, Washington, D.C.